An American yachtsman will soon pursue plenty of adventures with a sporty shadow superyacht in tow. 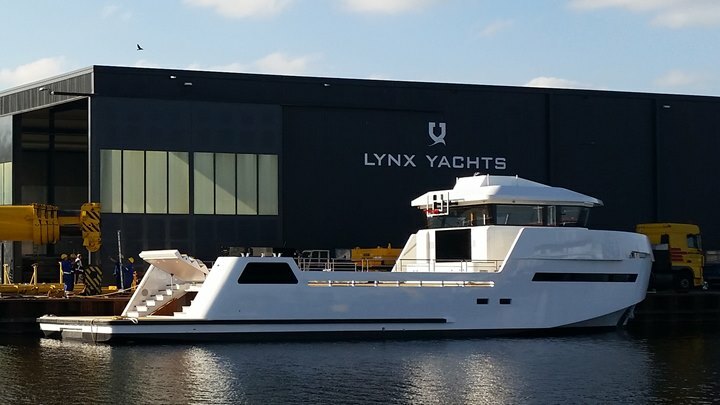 Lynx Yachts launched a YXT 24 Evolution late last week for that very role. Among the things the owner asked for are accommodations for an equal number of guests and crew. Specifically, his Lynx YXT 24 Evolution has berths for four friends and family as well as four capable hands. The 86-foot (26.3-meter) shadow vessel has a good beam of nearly 23 feet (6.9 meters), which should make the guest lounge comfortable. Of course, it also affords plenty of space for stowage, too. The owner plans to carry an off-road vehicle onboard. (Lynx Yachts can create an enclosed garage for autos on request.) Meanwhile, the exterior deck provides 807 square feet (75 square meters) for an assortment of tenders and watertoys. While we don’t know the primary yacht that this Lynx XYT 24 Evolution will accompany, we do know she should keep pace with global adventures. 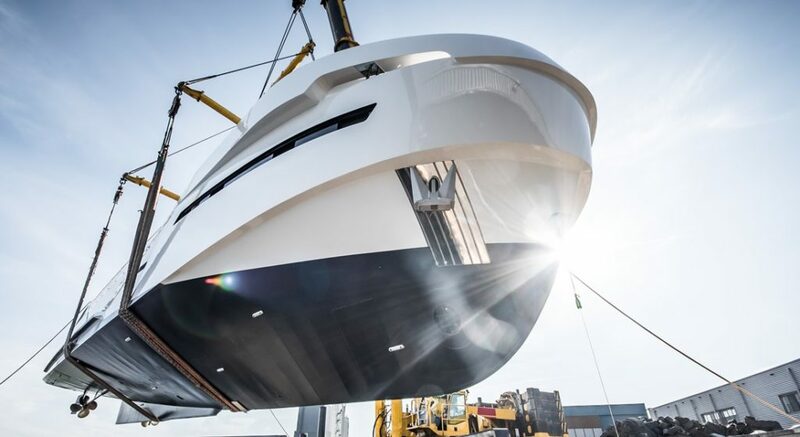 The shipyard and the naval-architecture team at Diana Yacht Design expect a 14-knot cruise and 1,250-nautical-mile range under Caterpillar power.